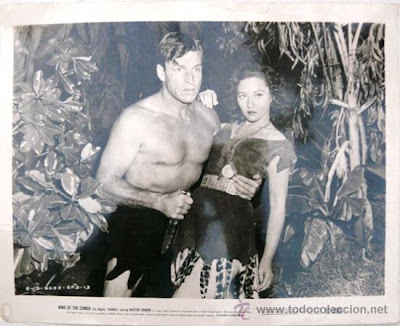 One of my Dad's cousins - Gloria Metzner (stage name Gloria Dea) last movies was the 1952 serial with Buster Crabbe entitled "King of the Congo". Gloria played "Princess Pha". Below is a photo from the serial and below that is a trailer video.